Sister Emmanuel, a nun from Medjugorje, interviews Maria Simma, an alleged mystic who has the charism of being able to see and talk to the souls in Purgatory. 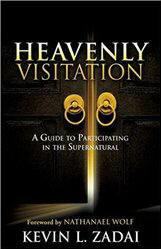 Answers questions like: Who decides if a soul goes to Purgatory? How do we get a soul released from Purgatory? How can we avoid Purgatory? What are the sins that most lead to purgatory? and much more! It's a little booklet, but one that has that indefinable power that causes one to gravitate to it, to delve into it, to meditate on it, then to re-read it or pass it on -- by a religious who lives at a major apparition site.